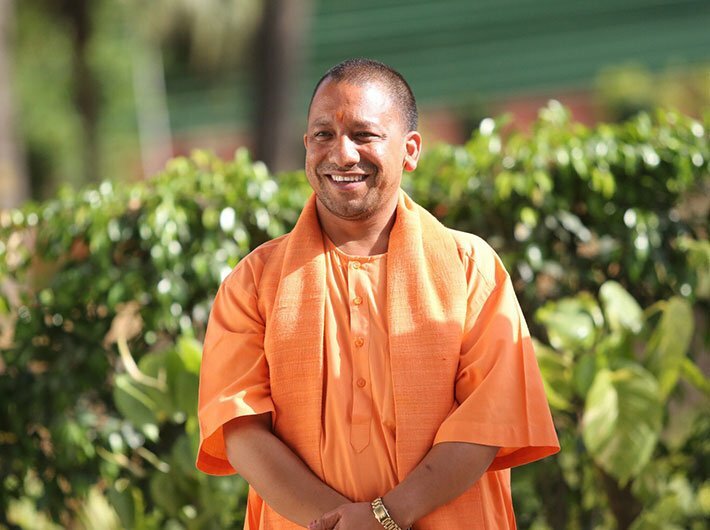 Did the choice of Yogi Adityanath as Uttar Pradesh chief minister surprise you? He faces numerous criminal cases for his alleged role in communal violence, but he says these are political cases, and that he is not a professional criminal. He is known for communal speeches, but he claims he speaks out only against anti-nationals and not the Muslim community. Yet, platitudes apart, neither his supporters nor his critics would deny that he is majoritarian – and a hardliner one at that. Choosing such a person over a couple of no-nonsense, experienced leaders makes a loud statement. More so, when the state involved is Uttar Pradesh, the biggest one and politically the most crucial. What do we make of this loud statement? Firstly, contrary to opinion-makers’ opinion, Adityanath should be considered a fitting choice because the mandate is for majoritarianism. For all talk of good governance, the BJP’s election campaign had Hindutva undertones as well as overtones. Not that the other contenders in the fray were content talking about governance – of course, the BSP had nominated a large number of Muslim candidates, way out of proportion. And the polarisation was not new: it began with Muzaffarnagar way back in 2013, and continued under the watch of the ruling Samajwadi Party, which did not bother to make any effective, even ‘pseudo-secular’ intervention. Not just the BJP, but all political parties, it seemed, had arrived at this much consensus, despite all their other disagreements: that good governance can’t fetch as many votes as baser instincts can. After the results, the BJP has offered harmless explanations for its staggering success – free LPG connections, rural electrification and so on – but it knows better. If good governance were the vote-catcher, a good-governance face would have been the chief minister today. And since Hindutva was the vote-catcher, a Hindutva exponent is the chief minister today. Forget kathni, but at least in karni, there’s no hypocrisy. Secondly, what worked in the biggest state is the best fallback strategy for the whole country two years later. In the days to come, a lot many yarns will be spun for the naive and the credulous – about a booming economy, even as data is questioned, about how Aadhaar is improving your life, though you may not know it, about how demonetisation has struck a blow at black money, even as party funding becomes more opaque. Eventually, 2019 is not going to be fought on minimum-government-maximum-governance or on some decisive administrative reforms. The next election will be fought on abattoirs, beef, kabrastan and smashan. And the BJP has already won it, barring any unforeseen circumstances, since the opposition has been so cooperative. These are the two messages coming from the UP choice. That is the idea of a new India. It has already started making Modi look like a dove. Adityanath is the only BJP leader for whom slogans wishing him to be the next prime minister were raised – no matter how small the crowd of chanters. Having a hardliner around should make Modi acceptable to more and more people. Adityanath, then, continues a chain scheme that has been going on ever since the BJP arrived on the scene. Vajpayee was a firebrand right-wing leader, till Advani made him sound like the Nehru of the right. Right from the late 1980s, Advani was caricatured in such a way that cartoonists left out only the horns. Not that he stepped back or apologised for any allegedly communal moves, but he became a moderate the moment crowds started leaving as he started his speech after Modi’s tirades drew applause. (That was at the launch of his 2004 campaign yatra from Porbandar in Gujarat.) Now, Modi, it should be said, has indeed not done much to turn Left-liberals’ nightmares into reality. He has been reinventing himself since 2002, first as a development icon and now as a moderate with a new vision of secularism. Adityanath is the new Hindu hriday samrat. His Hindu Mahasabha lineage in any case puts him at the right of the right. What was considered fringe is now the mainstream. That is the story going on since the rise of Advani. In the process, the right-wing is going rightward farther and farther. This will continue because Nehruvian secularism, much diluted and corrupted by the Congress and others, has run its course and no political leader seems to have the wherewithal to reinvent it for our times.